Foreign Affairs Secretary Perfecto Yasay Jr. denied reports that President Rodrigo Duterte “shocked and tensed” world leaders during a presentation he made in a meeting of the 18-nation East Asia Group in the sidelines of the Association of Southeast Asian Nations (Asean) meetings in Laos Thursday. 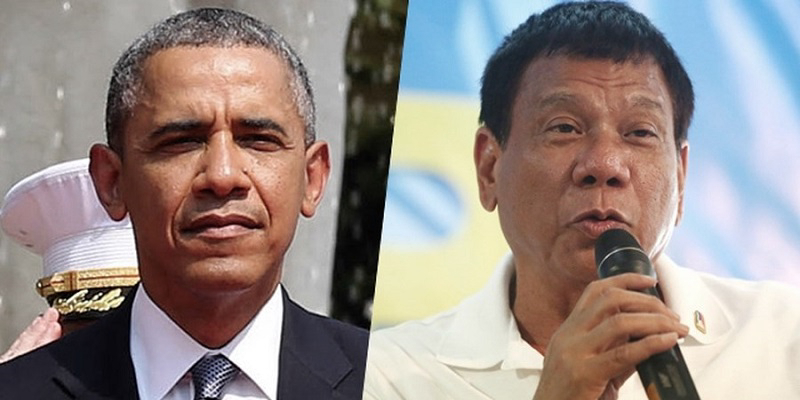 Reports claim that Duterte’s presentation of a picture of the killings perpetrated by American soldiers in the past created such a stir among attendees that included US President Barack Obama. “This is my ancestor they killed. Why now we are talking about human rights,” Duterte was quoted as saying during his presentation. Sec. Yasay did not confirm nor deny this but said that the meeting was held in closed door and thus everything that happened at the course of the meeting is not for him to reveal. Yasay said though that everything that happened in the said meeting will be revealed in due time as they form part of public records. Asked if Duterte’s presentation indeed caused tension and shock among the delegates, Yasay said he could not really say for certain. Yasay confirmed though that President Obama was present during Duterte’s presentation and did not give any reaction. He said though that both world leaders shook each other’s hands after the presentation before Duterte hurriedly left for a bilateral meeting with Russian Prime Minister Dmitry Medvedev.